You may notice that traditional education often lags behind real world development. That is why we at Reading Town are excited to invite your child to enroll in our coding class and take part in a cutting edge educational opportunity! Students learn how to build and program advanced website, educational game and animated characters. Through this process, young learners will increase their problem solving skills, become adaptable to new challenges, and develop their ability to work in teams. Students will learn these crucial skills in an expert-supervised and fun environment. Send your child on the path to becoming a future leader by immersing them in the increasingly relevant world of science, technology, engineering and mathematics. 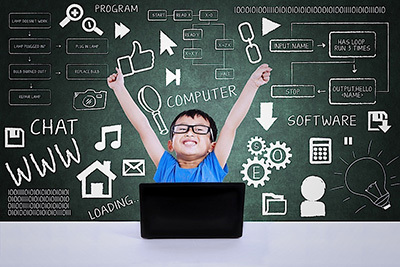 With the skills they acquire in our coding class, your child will be better prepared for their bright futures! Students should bring their own laptop or chrome book to take classes and finish project.